One of my goals this year is to eat better and healthier. It feels like we always have the same kind of fruits, vegetables, and meats. We always have the same bananas, apples, spinach, and chicken in the house. It’s time to add more variety. Maybe alternate fish instead of chicken; maybe a different vegetable like chard instead of spinach; or pear instead of apple. 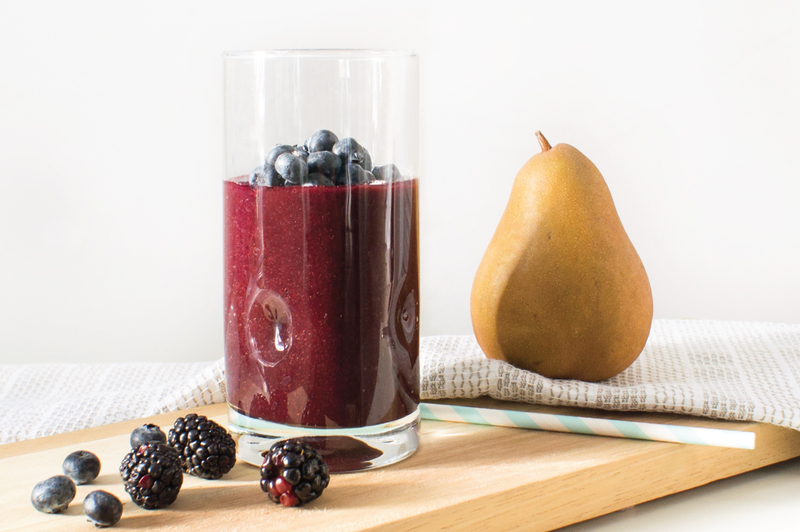 Other than eating fresh fruits and veggies, I have found that making smoothies is a fun way to get nutrients and benefits out of them. 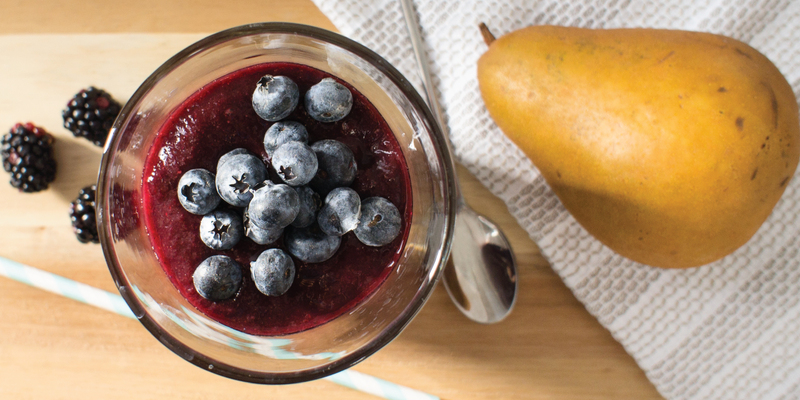 I love seeing the colors change after I toss them in the blender. It reminds me of when I was young and mixed watercolors. I get excited with how the colors would turn out. At the moment, Bosc pear is my new favorite fruit. It is yellow-gold colored and the skin is soft and easy to peel. I know the skin can be eaten just like an apple but my preference is to peel the skin off before I enjoy it. The flesh is crisp, smooth in texture, and juicy. 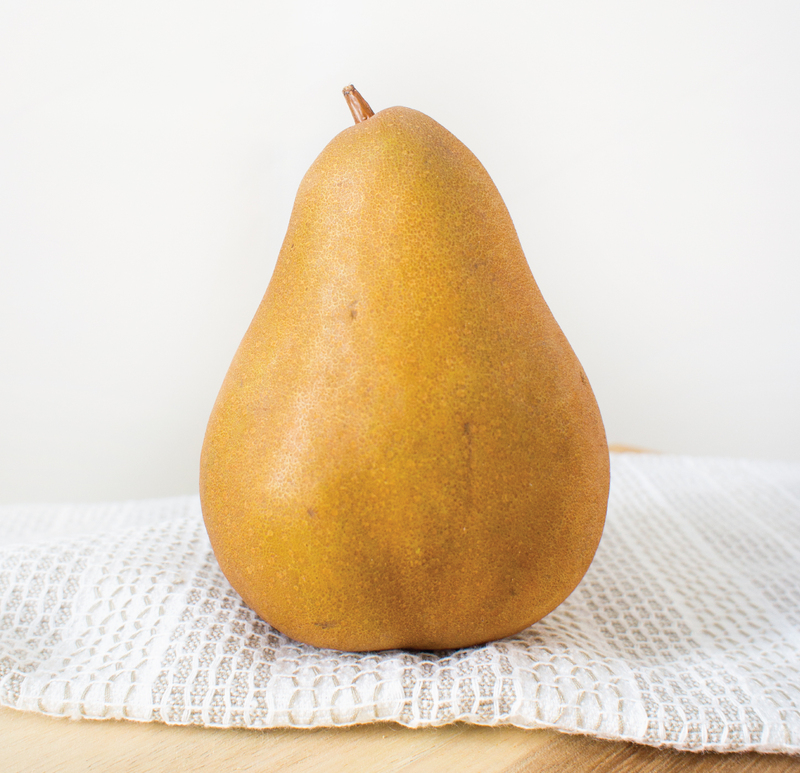 Bosc pear has just enough sweet flavor and have what tastes like a hint of honey. 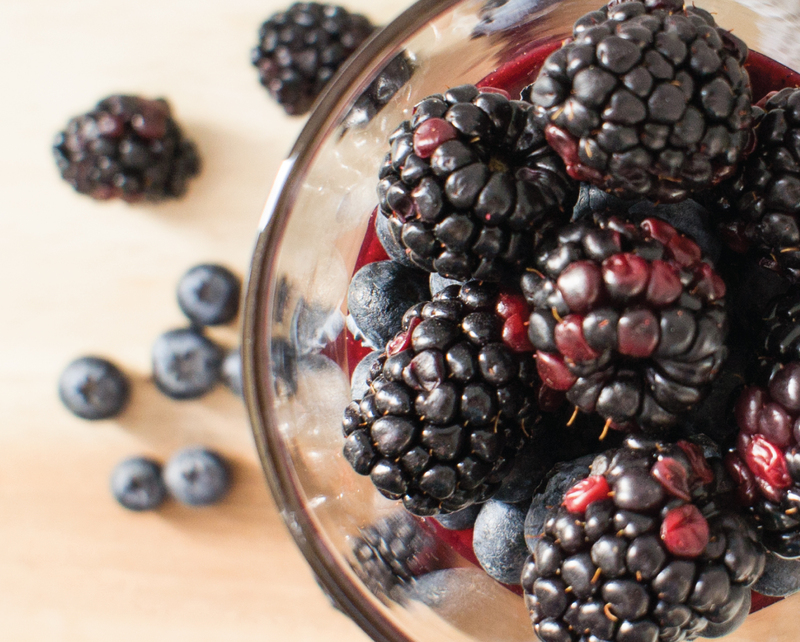 Just like any other fruits, it contains good health benefits like fibers and antioxidants. 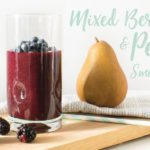 I chose to mix Bosc pear with blueberries and blackberries in this smoothie because of the sweetness of blackberry and bitterness of blueberry. Both taste profiles go well with Bosc pear. 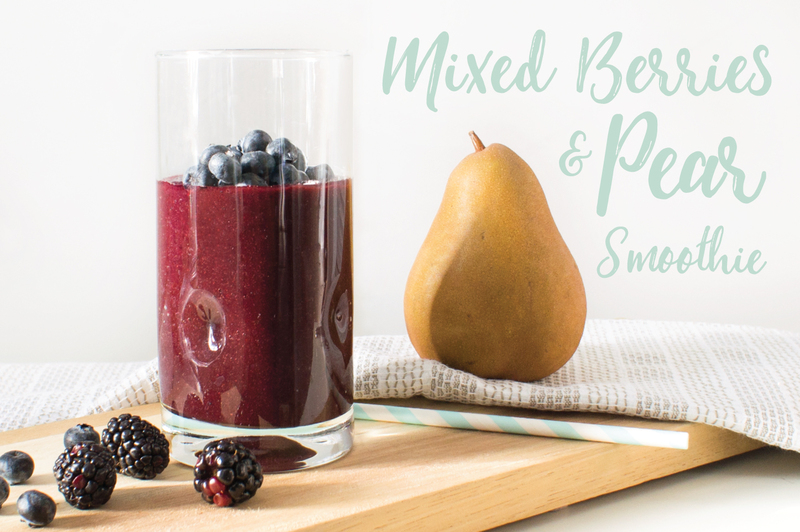 A little extra step for people who like the taste but not the berry seeds, like me. Pour the mixture into strainer to get all the seeds out.